Those are the words I hear on the streets of Nashville every day. Streets that seem to be getting a little bit meaner every day. Today we woke up to yet another story of juveniles and guns. Yesterday at 3pm, a 24-year old man, Kyle Yorlets, lost his life when he was shot outside of his West Nashville home. 3 PM is a time when most kids should be in school. It’s a time when parents are lining up in the car line to pick up their children. Those who took the life of Kyle Yorlets life are purported to be three girls, ages 12, 14 and 15, and two boys, ages 13 and 16. Think about that for a second. Those children arrested are likely MNPS students. At some middle school this morning there will be at least three empty seats. At a high school, there will be two empty seats. Whispers will spread through the hall and text messages exchanged among fellow classmates, but will anything change? Teachers will share experiences, some may be surprised while others will offer that they saw this day coming for years. But again will anything change? First and foremost in our prayers, we need to hold Mr. Yorlets, but we also need to reserve some room for these 5 children whose lives were also taken last night. Taken with a pull of the trigger. While we are holding these children in our hearts we need to ask ourselves, did we really do enough to prevent this? Because the truth is, unless we can say we’ve done absolutely everything for these children and their peers, we can’t claim ourselves without guilt. We keep hearing juvenile arrests are down. Expulsions and suspensions are down. Yet I see no evidence that actual infractions are down. We play games with the numbers – only count infractions when they result in a suspension or expulsions – and change policy before having supports in place and kids continue to fall through the cracks. Can we look Kyle Yorlets parents in the eye and say we did everything we possibly could to ensure that the children of our community don’t view gun violence as a solution? I don’t mean to single out McGavock, there is not a school in Nashville that is immune to the plague of guns. MNPS recently adopted the lowering of suspension rates for black students as one of it’s 3 main KPI’s. I will continue to make the argument that such a goal, sans supports for kids, actually hurts kids. It creates an illusion that actions unless they are the most egregious, have no consequences. Then suddenly there are consequences, but by then it’s too late. The argument is not mine alone. 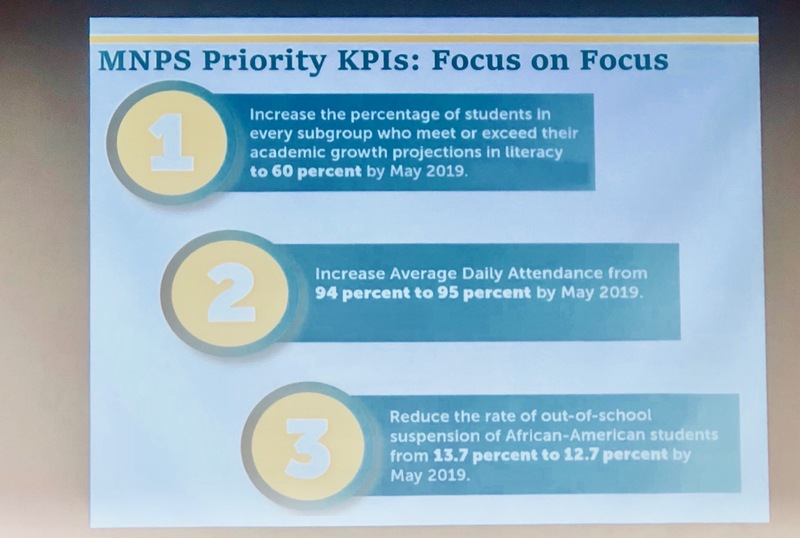 Teachers and administrators have made pleas for help with discipline all year, with the only response being a fancy Powerpoint hyping numbers not connected to reality. Meanwhile, teachers continue to start school with empty chairs, and not because those kids were expelled, but rather because someone took their life, or they took someone else’s life. Neither should be acceptable. Protecting our babies begins with keeping them safe. We have to make it stop. As a school district and as a city, we have to make it stop. We use the defense that getting kids the needed supports are expensive and we are an underfunded school district and the city has no money. Yet, soccer stadiums get built, big corporations get financial help, and the Mayor’s staff get raises. Having a trauma specialist in every school is estimated to cost one million dollars. News 5 reporter Phil Williams just unveiled a million dollars in wasted spending. Why is it we can find money for those items but helping our kids, is just too expensive? To his credit, Mayor Briley last week unveiled a new plan to combat gun violence in Nashville. However, it focuses on all gun violence, I argue we need a policy with a much narrower focus. In announcing the initiative MNPD made the claim that “deadly shootings are down this year compared to other years. From January through Aug. 22, 2018, there were 45 shootings. During the same time in 2017, there were 54 deadly shootings. That’s down 16.7 percent.” I wonder if those numbers hold true when you look at crimes involving juveniles, either as perpetrators or victims. What’s clear to me though, is that one is too many and we have to make it stop. It’s been my experience that those phrases don’t run congruent with organizations that are exceeding expectations. It’s almost like MNPS is celebrating because they were found to be sloppy but not crooks. I would think neither is a desirable designation. The allegation that the Metropolitan Nashville Board of Public Education approved a summary of contracts with Performance Matters for $1.1 million, but the actual contracts filed with the Metro Clerk’s office indicates $1.8 million between the two contracts is substantiated. However, this error does NOT appear to have been intentional. The $698,653 amount paid to Performance Matters for services between December 2016 and June 2018 was less than the $1.1 million approved by the Metropolitan Nashville Board of Public Education. The second item is in regard to a trip taken by MNPS Chief Academic Officer Dr. Monique Felder and several MNPS staff to Amelia Island. At the root of this conversation is $14k in hotel rooms to a luxury resort for a conference. The audit looks into exactly who paid for these rooms and lays out a timeline. 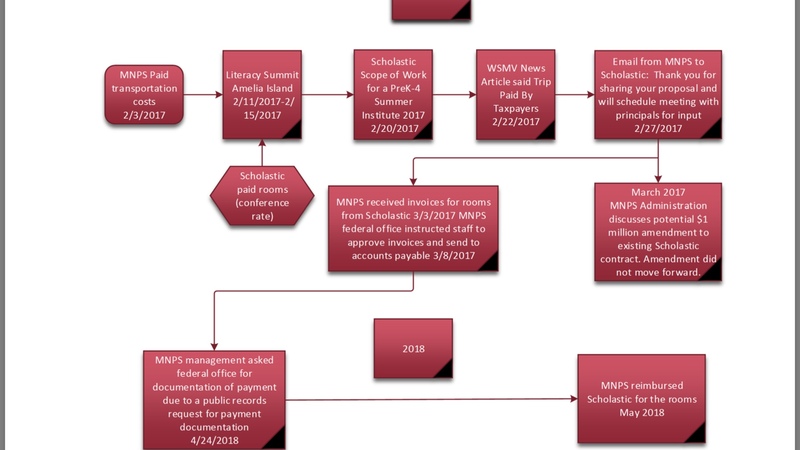 The brunt of the story is that Scholastic paid for the rooms and then around March, after a news story by WSMV, Scholastic suddenly remembered that they hadn’t billed MNPS for the rooms. For whatever reason, the check didn’t get cut until 13 months later when MNPS management asked for proof of payment based on an open records request. Incidentally during the beginning of that timeline, Scholastic had a million dollar contract pending. The contract was denied thanks to board member Jill Speering. Per the audit, Scholastic didn’t pursue the reimbursement. Lots of schools of schools don’t have a problem taking the perk and so it wasn’t high on their radar. Since they record it as a reduction of expenses and not revenue, it wouldn’t show up on an accounts receivable aging report. $14k ain’t no skin off Scholastic’s nose so they didn’t even notice it was gone for 13 months, and probably would have never noticed. If I was a shareholder of scholastic I might be asking a few questions. How many other reductions in expenses are out there uncollected? As a shareholder in MNPS, I’m asking questions because I don’t believe there wouldn’t have been either a bill or payment without outside forces at work. In the words of the Metro Auditors, there is no preponderance of evidence – a certain set of facts “more likely than not” occurred – to indicate payment would have been made. I’m also questioning if paying $14k to a luxury resort by an underfunded school district is a prudent use of funds. An article by the New York Times explains how companies are courting superintendents and how the game works. 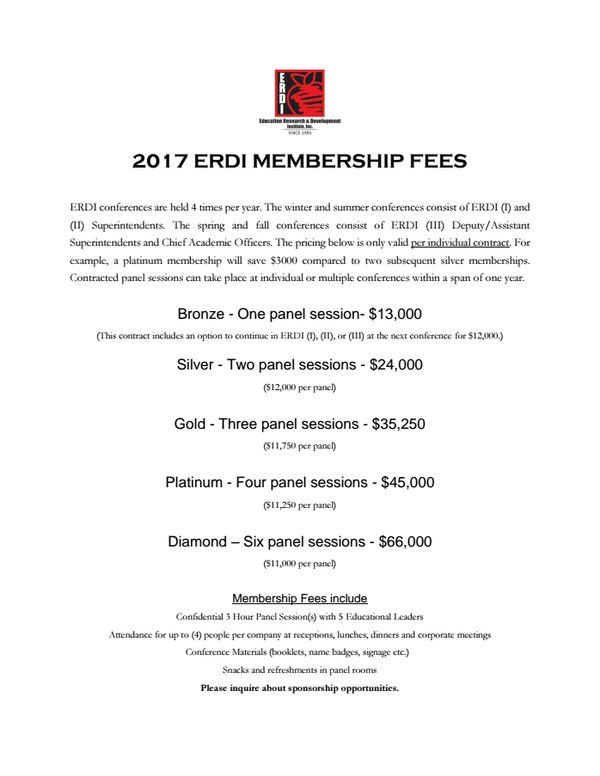 Last February, at an ERDI conference in New Orleans, Mr. Dance met with Curriculum Associates, which makes reading software, as well as DreamBox Learning, a math platform. At the time, both companies had contracts with the district. A few months after the event, the school board approved additional money for both companies. Each contract is now worth about $3.2 million. A DreamBox spokeswoman said there was no connection between the meeting and its contract. “Even the appearance of impropriety is something we take very seriously and take steps to avoid,” she said. Now I know, that all of that can be written off as coincidence and supposition, But remember that Dallas Dance is a close friend of Dr. Joseph, he was on Joseph’s hand-picked transition team, and MNPS’s statement in response to questions about the Performance Matters contract refers to the transition team. Dr. Joseph in response to questioning over Dance, and ERDI, has said that “others across the country have done wrong, but we have not”. The Metro audit takes him at his word. I don’t want to get too deep in the audit because, to be honest, there is enough in there for either side to push their narrative. Furthermore, I believe that we are starting to reach a saturation point. That is to say that people have reached a point that they just want it to stop. It’s like this, we all live in a neighborhood and every day Joe and I are out front embroiled in an argument. You come home at night and we are out fighting. You leave for work and there we are fighting. At first, you may try to figure out who’s right. But our arguments never reach a resolution and they lead to you being in arguments with other neighbors over who’s right. Neighbors that you like. It’s exhausting and takes away from the joy in your neighborhood. Eventually, you reach a saturation point and you stop trying to figure out who’s right and just want them both gone. In my opinion, that’s about where we are now. The noise has gotten to an untenable level. MNPS’s Chief of Schools Sito Narcisse often admonishes Community Superintendents, EDSSIs, and Principals about not controlling the noise. It’s probably something he should talk to his boss about. Right, wrong, or indifferent, other than the first couple months of his tenure, Dr. Joseph has never demonstrated the ability to control the noise. Mike Tyson used to say, “Everybody has a plan until they get punched in the mouth.” In other words, how are you going to overcome setbacks, adversity, and critics? With Dr. Joseph, we are still awaiting that answer. If all the job entailed was uniting allies around a popular policy, the compensation wouldn’t be almost a half million dollars. It’s that high because the job is that hard and not just anybody can do it. 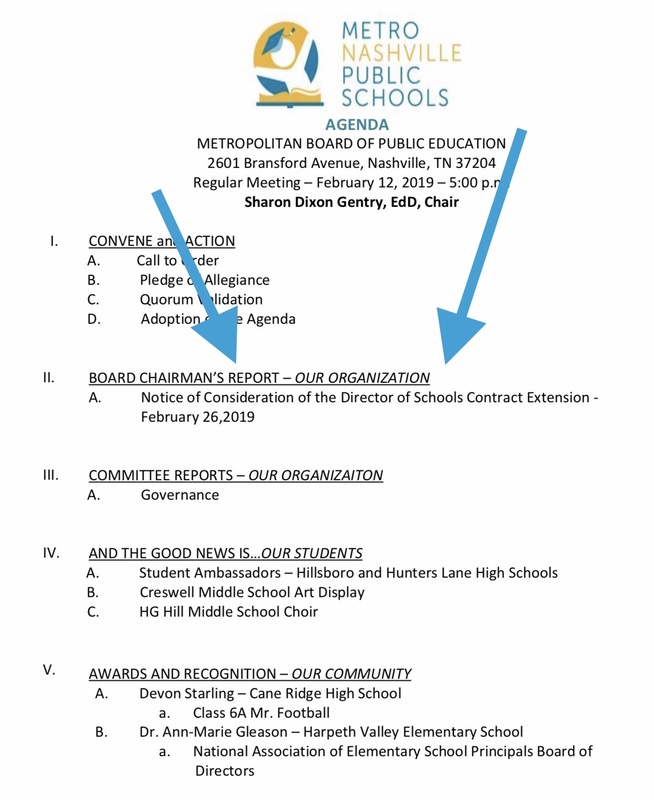 A look at the agenda for next week’s MNPS school board meeting indicates that it’s time for the conversation that I’ve been saying is coming, to begin. Board Chair Sharon Gentry is indicating that she’s ready to bring a motion for the consideration of extending Dr. Joseph’s contract. I must admit the timing is a bit peculiar. I predicted this would happen prior to the budget season. Now we are going to take attention away from the budget process to have a contentious conversation over Dr. Joseph’s performance? This one’s not going to come without wounds. Kind of ironic that this notice of consideration comes at the same meeting as a motion for mediation. I would think one has a direct bearing on the other. Contributing to the bad timing is that the director’s evaluation has still not been completed. Rumor is that it’s close, but there is still no scheduled reconciliation of the director’s evaluation. There is an HR report from Bone McCalister that is scheduled to be delivered next week as well but it’s already been delayed by several months. There is also the state review of Dr. Joseph’s teaching license in regard to following state policy on reporting discipline issues. At present, his license is on hold. Several board members have indicated that they would prefer to discuss a contract extension after his licensure issues have been resolved. But that’s not it, there is the issue of academic data to take into account. MAP testing is just getting started and the testing window runs for 2 weeks. Will there be adequate time to analyze the data and ensure that we are making the desired progress before the conversation. Shouldn’t that be a major consideration in deciding whether Dr. Joseph warrants an extension or not? Looking at the board and doing a quick read I think presently it’s all pretty evenly divided when it comes to extending Dr. Joseph’s contract. Buggs, Gentry, and Pinkston are probably “yes”. Bush, Frogge, and Speering are “no”. Elrod, Shepherd, and Walker, are probably still deciding. Other then the “no’s” I wouldn’t count on anyone being too entrenched in one camp or the other. Part of me wonders if this isn’t a sign that Joseph is ready to throw in the towel. Perhaps he’s pushing Dr. Gentry to go ahead and call the question so we can move ahead one way or the other. Leave in the next couple of months and there is still a little buyout money on the table. Wait until summer, and the job search window shrinks and there’s less money on the table while he looks. Personally, I’m just going to wait until Tuesday and see what Dr. Gentry presents. 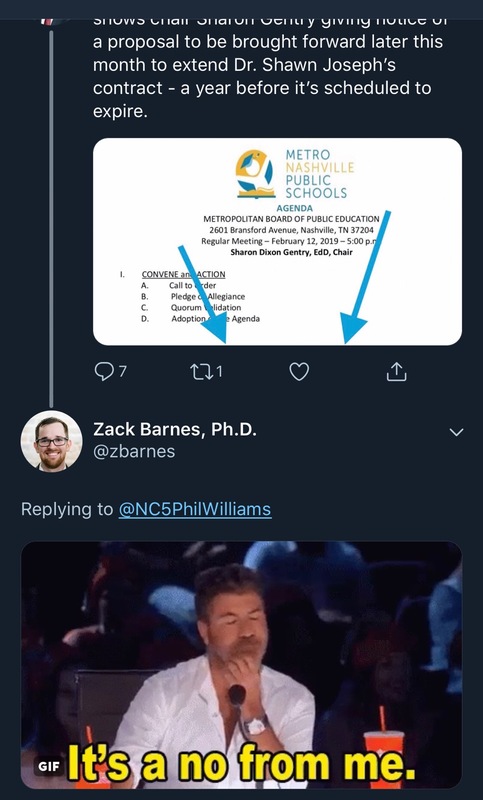 Obviously, my position is pretty clear and I thank educator and blogger Dr. Zack Barnes for providing the perfect meme to communicate my position. Make sure you read his Tip Sheet. But in all fairness let’s hear Dr. Gentry out. There will be plenty of time to hash this out once she sets the ground rules. Kennedy Musgrave, 17, of Nashville and Courtney Good, 12, of Kingsport today were named Tennessee’s top two youth volunteers of 2019 by The Prudential Spirit of Community Awards, a nationwide program honoring young people for outstanding acts of volunteerism. As State Honorees, Kennedy and Courtney each will receive $1,000, an engraved silver medallion and an all-expense-paid trip in early May to Washington, D.C., where they will join the top two honorees from each of the other states and the District of Columbia for four days of national recognition events. During the trip, 10 students will be named America’s top youth volunteers of 2019. Way to go Kennedy! There’s still time for current 8th-grade students to apply to the School of Science and Math at Vanderbilt! Apply before next Friday, Feb. 15, to be a part of a four-year, interdisciplinary, research-centered learning experience at the prestigious Vanderbilt University. Then when the local money folks come around and offer to pay for your search for a permanent replacement, you politely decline. As a physical education teacher at Bethel Grove Elementary, Toni Jackson said: “We don’t want any outside influence. We don’t need your money. When people come to finance, they want to take control.” Amen. Freshman Tennessee State Rep Bob Freeman Bill Freeman is officially on the clock. He’s filed House Bill 253 to improve Tennessee 2015 Say Dyslexia law. I knew he was going to be a good one, but I think it’s safe to say that he is already exceeding expectations. Andy Spears has a post on one area that Tennessee is leading when it comes to education policy. Unfortunately, it’s not a category we want to lead. The Learning Policy Institute notes that Tennessee has the highest percentage of 1st- and 2nd-year teachers of any state in the nation. Nearly 20% of Tennessee’s teacher workforce is very new to the profession. That’s well above the national average of 12.7%. When that number is combined with the percentage of uncertified teachers (4.1%), the outlook is not good: Our schools are not retaining experienced teachers. The national average for classrooms staffed by uncertified teachers is 2.6%. Make sure you mark this date on the calendar. If you think what I write has value, please consider supporting the work through Patreon. I’ll be honest with you, January and February are slow bartending months so I could use any support you can throw my way. To those of you who pledged money, thank you, thank you, thank you. Have yourself a great first day back! I’m worried that parents and others will conclude from this crime that the schools are not safe. Can you blame them? Nashville as a whole is not taking of business in the area of youth safety. I think you overestimate the chance that Shepherd or Walker would vote NO. The votes for YES seem to be there. Doesn’t even seem like a question at this point. The principals will probably get budget information that same week as the vote. And there will be MAP data. And a publicly released eval. And etc etc. But that’s all noise (for lack of a better word, sorry) and I am sure the key players are not swayable at this point. He’ll go when he wants to go, apart from legal issues. Which despite noise (there’s that word again) hasn’t been enough to change anything yet. The recent stories of late have a young man with no one but three knives found on him, https://www.scoopnashville.com/2019/02/hillsboro-high-school-student-arrested-weapons-on-school-property/. Endless fights after games and of course I could go on with regards to the Teachers assaulting students as well as the sexual abuse that seems endless here. 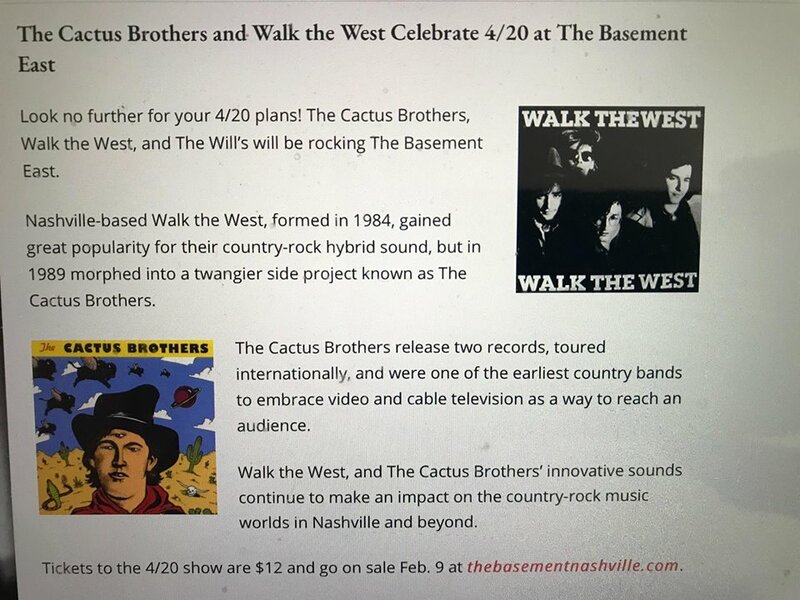 If these fraternal brothers and varying church orgs and others who believe the Director is going good works I suggest that they start finding ways to help the families of the students of all of these schools to learn anger management, to provide support in tutoring, after school activities that build on music or physical education that are two big industries here in Nashville. 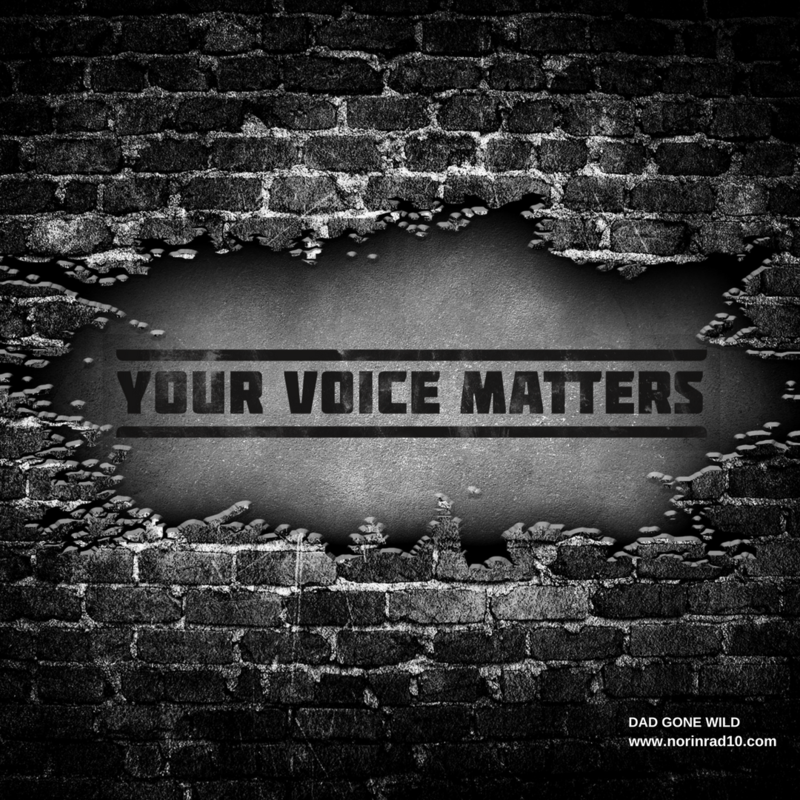 Protesting, verbally assaulting others who disagree seem only to fuel if not model that aggressive behavior that all the SEL in the world for a few hours a day cannot overcome. Again the New Jim Crow Laws by Michelle Alexander explains much of how these policies got passed through but nothing happens in a void. I heard last night in response to the recent attractive white person killing that makes the national news a Pastor demanding tougher laws. I beg to differ. Again I have read the books all of them. This reading thing is fundamental folks and saying the the South has an oral history which somehow justifies this lack of reading is ironic as given you have one of the best libraries I have ever been in my life right in downtown Nashville and an amazing book fair that happens on a weekend when school is out. And it’s free! I read to learn and try to reconcile why the failures of all the best intentions continue to fail and we are finally seeing it across the country it is about money and the needs to fund schools with simply the basics let alone the complex needs that a diverse student body demands and requires in which to fully function in the community at large. We know here in Nashville that was done historically in another book but that has been well pushed here on this site and I am sure all three of us who read it appreciated it. I see that Bully Boy courted her on Twitter to read his manifesto. That may explain why people don’t read they sure cannot write. Again the legacy of amazing Southern writers in this area are all acknowledged in their own section in this library I frequent. Try wandering through those shelves it will blow your mind or go through the civil rights records again another amazing collection of documents. Now as for the Director and his contract. Here is the idea – give him another year extension with a tight leash and demand to meet some certain specific points. They can be tied to his evaluation and in turn times to schedule when he is to provide the board the needed proof in which to show how he has been able to reach said points or why he has been unable to and what he needs to or why he failed. This Board is in no position to come up with a National search and again the future spots open for election and a new Mayor (god I hope so as Briley makes Joseph seem competent) and Council spots will change that dynamic again, address funding issues in the city overall and in turn enable a parent-teacher cohort to form and function. You have more non-profits that turn up on a dime for whatever scandal or issue that arises and yet none that actually do anything for this issue other than the Chamber. Why is that? Lack of ability to communicate is one – language, poverty and of course race – may be the reason. But dump the divisions find a commonality to focus on. This is not about just Black Children, Brown Children, White Children it is about CHILDREN. Talking is not doing. Funny how sports motivates everyone here and yet this issue doesn’t. Hmm I need to write a book about that. Indeed it is all about money. Rich folks don’t want to pay into a system they don’t use. Low expectations in the south for decades fed de facto school resegregation over the past 20 years. We are not alone on that. The state/local needs to kick in approx $1B more around the state to be competitive with education in middle-tier states. No amount of choice will be enough to get around that – it will only move the problem, which is a lot like de facto resegregation in a few respects. Everyone wants something but no one wants to pay for it. Hence the crap about vouchers. The guvna has kicked forward a teeny downpayment on votech ($25M) and I applaud that. That has to be viewed as an itty bitty pilot of something much bigger, otherwise I will view it as a cheap salve. The state can’t afford to kick more than $100M additional toward ed in any given year. We have to spend those increases wisely when and if they come – at both the state and local level. I feel like we are about to have another squandered opportunity. I am very angry with previous mayor Barry for lying to the public to gin up avoiding a real estate tax increase. That single failure to reset rates, coupled with the charter seats already in the pipeline, has put MNPS in a nearly impossible situation unless there is a galvanizing change this season. God help us if we can’t get it right. And history is not on our side.